Worldwide burning of fossil fuels for energy emits the largest amounts of human-caused greenhouse gases, making energy use the key driver of climate change. Oil is the most-used fossil energy source in the United States and in the world. Oil is our civilization’s master resource; it is embedded in every aspect of our economy. The United States is often considered to be addicted to oil. For example, oil provides 94% of the energy used in our transport sector. Many Americans have chosen to live in places where they are not able to go anywhere without driving private vehicles. As a nation, we drive two or three or more times as many miles as our counterparts in other wealthy nations. But, like the other fossil fuels, oil is a finite resource. In fact, many large oilfields and even many oil-producing nations have already passed the point at which they produced the largest amount of oil. Worldwide, conventional oil is at or near its maximum rate of production; the decline from that maximum production rate can be quite rapid. Unconventional oil, other possible oil substitutes, and demand reductions are not expected to replace declining supplies of conventional oil in either an adequate or a timely manner. The impending oil shortages that result will disrupt nearly all human activity. Our transport systems and land-use patterns, our agricultural systems, our water systems, our health care systems, and even our emergency and disaster preparedness systems will be especially affected. Indeed, any actions that we might want to take as part of well-crafted adaptation strategies in response to climate change are likely to be seriously complicated by these coming oil shortages. 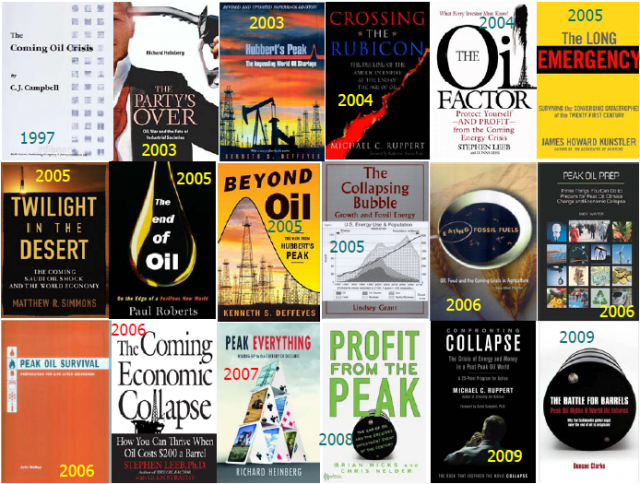 AJPH Theme Issue on Peak Oil,Editors: Brian Schwartz, Cindy Parker, Jeremy Hess, Howard Frumkin, forthcoming 2011. Also includes an article by JHSPH’s Peter Winch. Stuart Chaitkin is a Senior Associate with the Department of Environmental Health Sciences at the Johns Hopkins Bloomberg School of Public Health (JHSPH), where he created and teaches a course called “Energy Policy Choices and Public Health.” His course provides students with the knowledge base and evaluation skills needed to understand why energy is so important and how energy policy choices can have such wide-ranging effects on human well-being. His course is designed to enable JHSPH students to explain the basic linkages between energy impacts and public health; identify the principal negative impacts associated with energy exploration, generation, and consumption in low-income, resource-poor countries as well as in developed countries; distinguish between potentially valid and overly hyped claims about energy performance, energy impacts, and energy technologies; analyze potential solutions to the biggest energy challenges we face; and assess a range of policy choices for reducing the impacts of energy consumption on public health. He also presents four lectures on energy issues in another course at JHSPH called “The Global Environment and Public Health.” Both of those courses are part of the Program on Global Sustainability and Health at JHSPH. Mr. Chaitkin is also an Affiliate of the Environmental Energy Technologies Division at the Lawrence Berkeley National Laboratory. He worked directly with the Berkeley Lab from 1997 to 2006 in two capacities: first, as the Assistant to the Executive Director of an organization staffed by the Berkeley Lab called the National Council on Deregulation and the Electricity Industry, and second, as a member of the Energy Efficiency Standards group of the Energy Analysis Department of the Lab’s Environmental Energy Technologies Division. In the first role, he provided information to assist state utility commissions in shaping their plans for electricity deregulation. In the second role, under contract to the U.S. Department of Energy, he led a team and participated on teams that performed detailed technical analyses of potential energy-efficiency standards proposed for various commercial and residential products. Prior to his work with the Berkeley Lab, Mr. Chaitkin spent 10 years as a Regulatory Analyst with the Office of Ratepayer Advocates at the California Public Utilities Commission (CPUC). At the CPUC, he focused on the environmental aspects of the regulation of California’s energy utilities and provided expert testimony on that issue in several cases before the Commission. Submitted by Christina.Pikas on Fri, 2011-04-29 16:35.